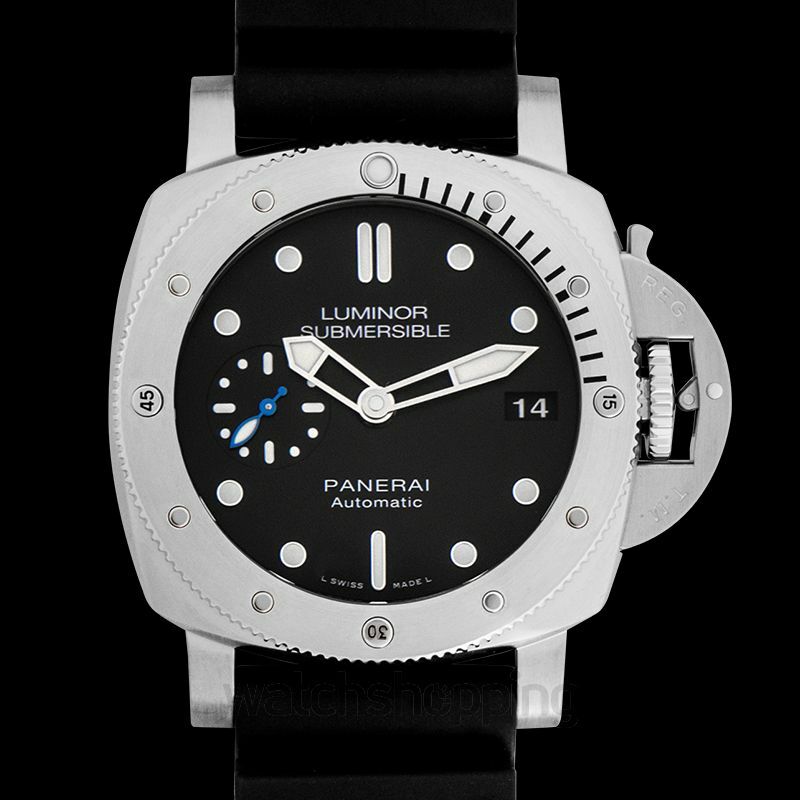 The Pannerai PAM00682 is a Luminor 1950 submersible 3 days automatic Acciaio 42 watch. 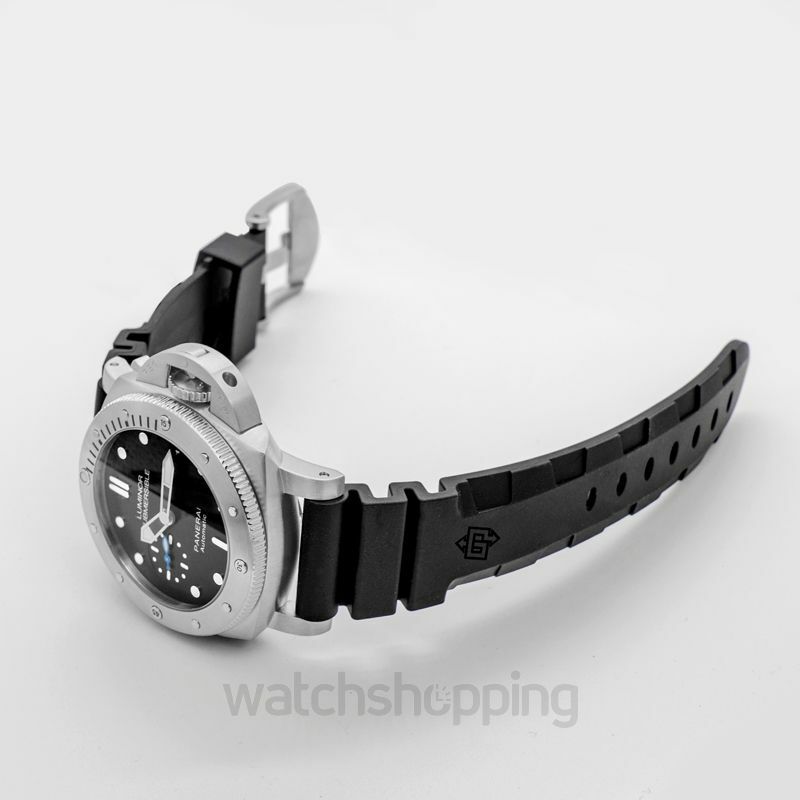 It comes with a black dial that features Roman numerals as well as dot type index hour markers n silver tone. 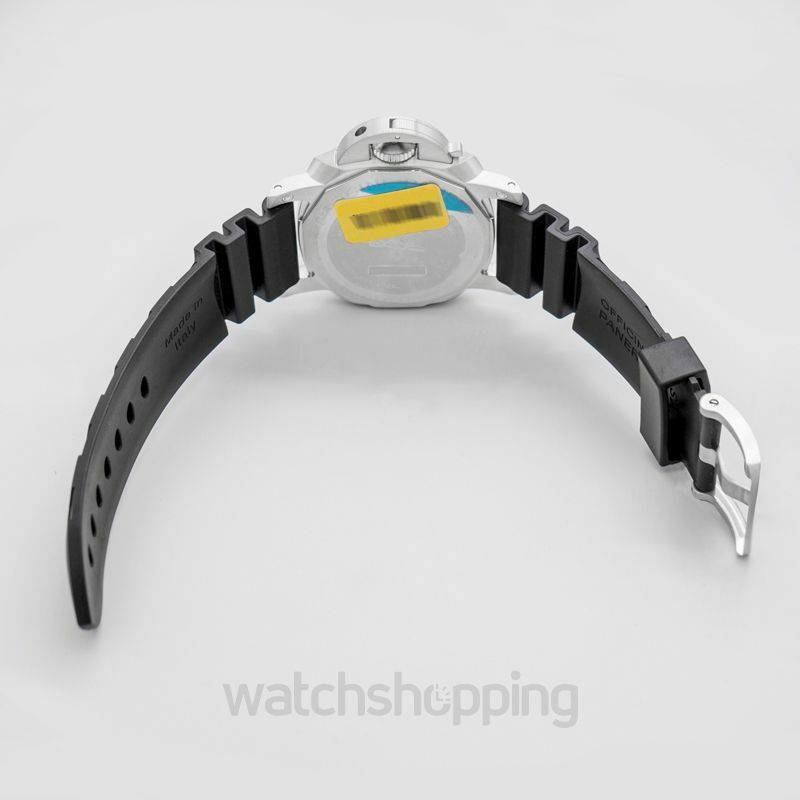 The dial also has a sub-dial and a date section. 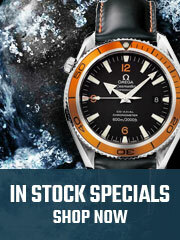 The watch is therefore, an ideal dive watch. 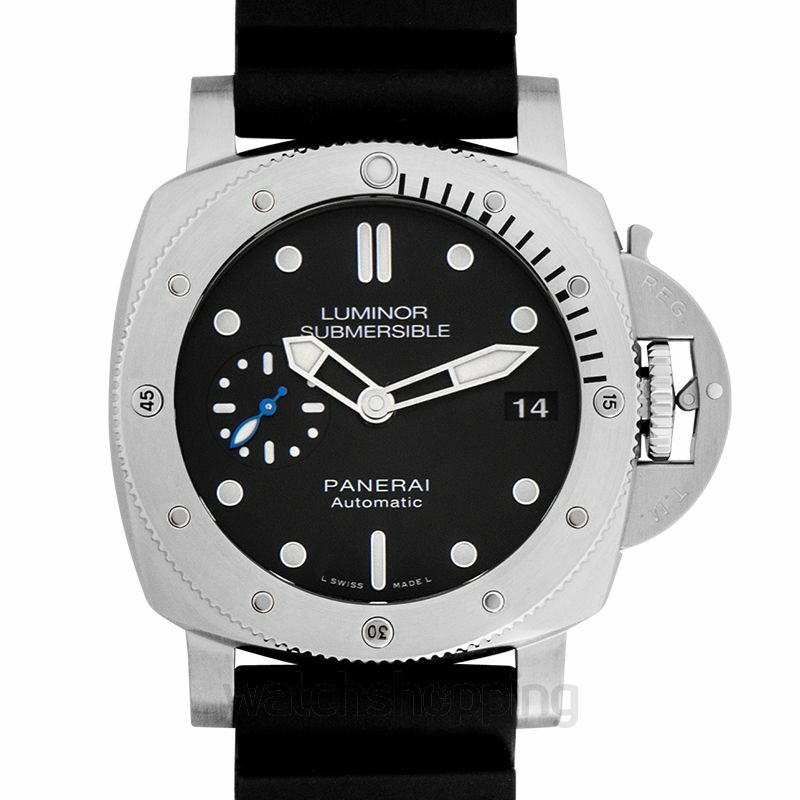 The watch is encased in durable and steady framework and the sapphire crystals keep the glass scratch and reflection free. 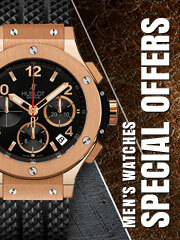 The caliber of the watch is automatic and the reserve may last up to 3 days in total.